serves women seeking homebirth across Connecticut. With an office in Lebanon, CT, most clients travel less than an hour for prenatal visits. Additional visits can be arranged in your home when needed. I offer flexible payment plans and most insurances are accepted. Prenatal care with a midwife includes access to prenatal labwork, screening for GBS (group beta streptococcus), and referrals for ultrasound sonography for those who choose to utilize this technology. As Traditional Midwives, we recommend time-honored methods as alternatives to standard medical model procedures. Prenatal visits are typically over an hour long and address both the physical and emotional concerns and needs of mother and baby. Women are encouraged to involve their family members and friends in their prenatal visits if desired. Visits occur monthly until 28 weeks, then bi-weekly. At 36 weeks, a Home Visit is done, we go over our emergency back up plan as well as your individual desires for your homebirth. After the home visit, we are "on-call" for your homebirth and meet weekly until the baby arrives. Planned homebirth with a skilled attendant has been shown time and time again to have comparable and even improved outcomes as planned hospital birth (see resources). A natural birth requires much energy, and thus we encourage eating to appetite, staying hydrated, and alternating rest with activity. We are typically in contact during early labor and come to your home once active labor has been established. We monitor both mother and baby, providing the individualized support you need. We are prepared to intervene if necessary, but the vast majority of mothers and babies planning homebirth do best with a hands-off, less is more approach. Our goal is to support a woman's natural birth hormones and inner wisdom to give birth to their baby and placenta naturally and safely. We stay a minimum of 3 hours following the birth; longer if there have been any complications or unusual circumstances. Generally we stay until the mother has eaten, had something to drink, gotten cleaned up, urinated, the uterus is firm, the baby has nursed, postpartum instructions have been given and mother and baby are in love! Ahh, the baby moon begins! Postpartum visits are done in your home on days 1, 3 and 5. Care for the newborn includes a comprehensive newborn exam on the day of birth, thorough follow ups, help with breastfeeding, access to Newborn Screening ,and registration of the birth in order to receive a birth certificate and social security card. Postpartum visits back at the office are typically arranged for a 2 or 3 week visit an completing care at 6-8 weeks. Most (95%+) of our clients utilize Aquatherapy during labor and birth in water. We offer tub rentals for those who do not have access to a deep tub in the home. 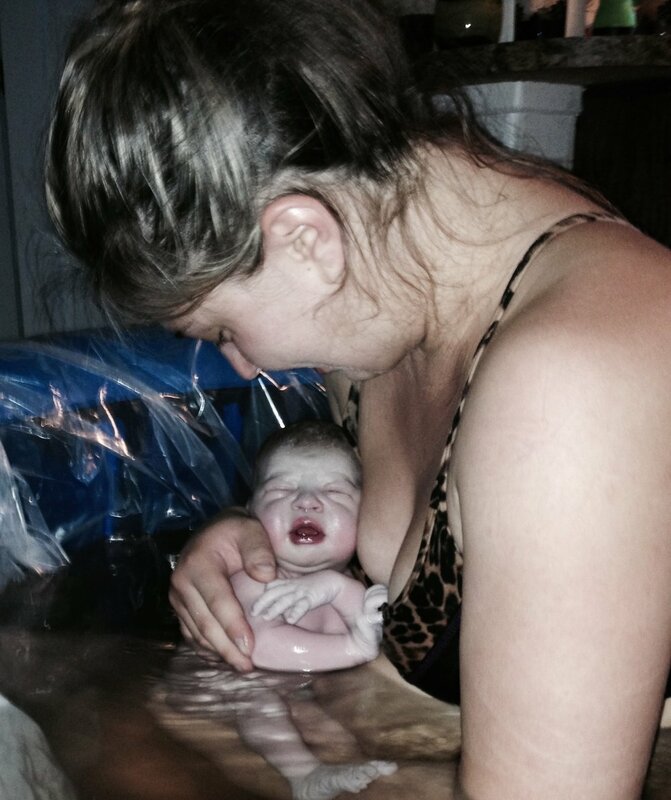 Waterbirth is safe and beneficial to mother and baby, and we highly recommend this option. Planning a Homebirth with a skilled attendant provides an opportunity to birth without major surgery in the absence of a valid medical reason. My clients' VBAC success rate is over 86%. I would love to discuss your desires for a VBAC. Assuming careful prenatal screening, good health of the mother, excellent nutrition and conscientious prenatal care, the overwhelming majority of planned home births occur healthily and happily without difficulty. Planning a homebirth requires acknowledgement of the fact that there are complications that can arise during labor, birth, and postpartum. Although I focus on the prevention of problems and am skilled and prepared to handle emergencies at home, there are some situations that necessitate transfer to the hospital for specialized care to ensure the safety of the mother and/or baby. In the event of transfer, I will remain with you and assume a labor support/consumer advocate role while in the hospital.